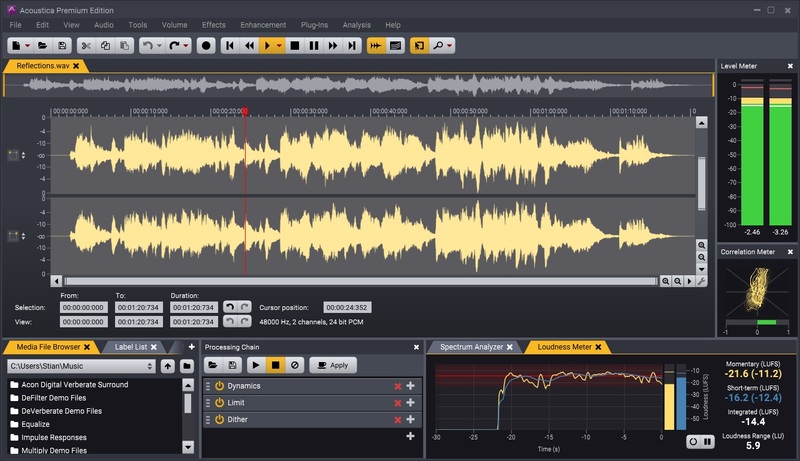 Acoustica isthe tool for editing, mastering and restoration work on both Mac and PC. The spectral editing mode available in the Premium Edition allows more precise restoration work while you have access to processing tools from our award winning plug-ins such as Equalize, Verberate and Restoration Suite. its a great program for fast audio editing. has VST plugins cabapilities and the interface is nice. a little expensive in my opinion but is a good editor. I tried many sound editors and recorders, CD rippers and sound converters and though I don't like Swiss army knives, Acoustica became a program of my choice. 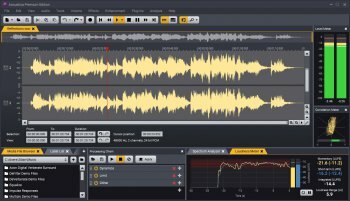 Mainly it is a sound editor supporting many formats and having lots of features and effects. I am engaged to voice over and narration and Acoustica gives everything I need for this kind of work: I record files, then I edit them and finally save them in the format I need. You can also transfer music from your vinyl records and tapes into CDs with noise reduction and automatic track splitting. With Acoustica you can rip audio CDs, convert files from one sound format into another and even compile and burn audio CDs (in .cda) out of your MP3 collection. The resulting quality isn't bad. The app isn't very hungry in terms of your computer resources and has a very pleasant, convenient and intuitive interface. The proggie is supported by a detailed help file and user guide in PDF which you can download from the software website. It's a pleasure to work with such an app. Highly recommended.